The Tyne is new from Kaydian and offers a contempory design bed frame that has been finished in a elephant grey fabric and offers an eye-catching feature dip design to the curvaceous head and footend. The bed frame has been upholstered in quality fabric and stylish feature diamond quilting pattern to the headend. 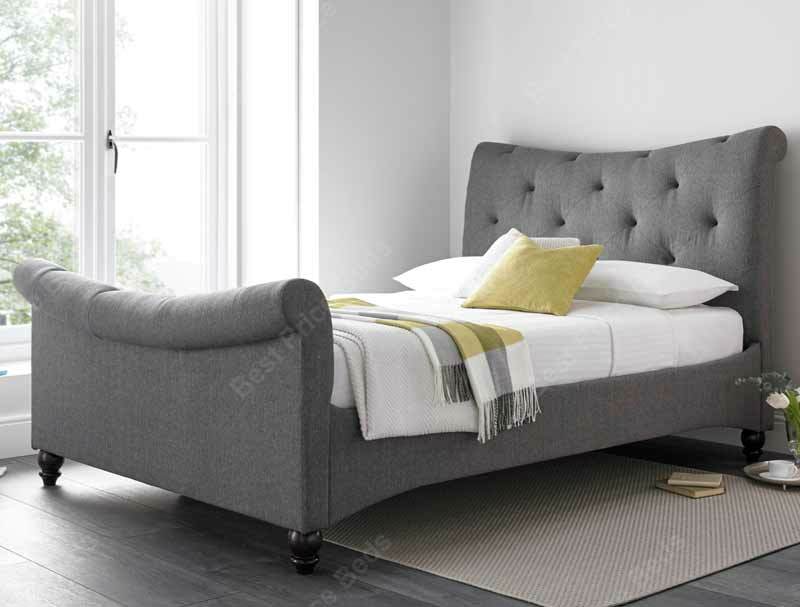 Turned hardwood legs complete this elegant bed.This bed frame is available only in Elephant Grey fabric in Double, king or Super king size and is supplied flat packed with a sprung slatted base for next working day door to door delivery free of charge to most areas of england scotland and wales, please note some areas will incur a longer delivery time and a small delivery charge please see delivery information page before ordering.